Most bankers spend their days building models on their Excel spreadsheets. But some of the projects Ed Hale worked on required a bit more gusto. 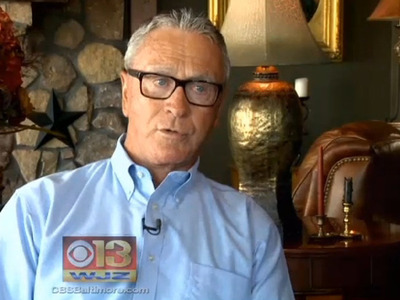 Hale, the former chairman and CEO of the First Mariner Bank, revealed that he led a double life as a CIA agent from 1991 to 2001 in an interview on WJZ, a CBS-affiliate. “I was the perfect cover because I was all over the world with my vessels and trucking here in America, so I was the perfect person to take somebody and send them out to Afghanistan, Uzbekistan,” he told WJZ. He even “found himself in the early hunt” for Osama Bin Laden towards the end of his involvement with the CIA, according to WJZ. However, Hale’s undercover days are long past. He retired from CIA work over 13 years ago, shortly after 9/11. Aside from banking and CIA work, Hale “is credited with developing the Canton Waterfront,” in downtown Baltimore. He also owns the Baltimore Blast, a professional indoor soccer team. While this banker’s double life may come as a shock to most people, there was one person who was completely unfazed. The CIA has not confirmed Hale’s role due to privacy concerns.